The day President Reagan broke Tecumseh's curse. Word comes of an entirely praiseworthy series of events in April (which is almost upon us though you would never believe it from the weather): a celebration of the Huguenots in Spitalfields. There will be talks, walks, seminars and exhibitions. It all promises to be most interesting. There will also be blogs on some of the events. That ought to be the true Conservative position. 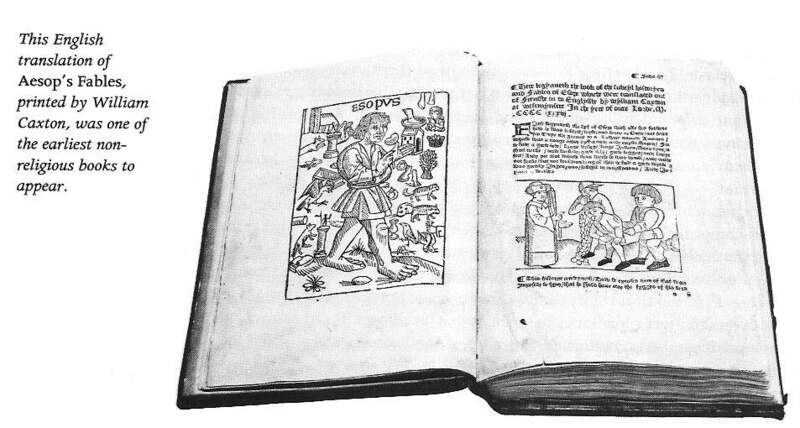 On March 26, 1484 the first English version of Aesop's Fables was published by William Caxton who was using his own translation from French. 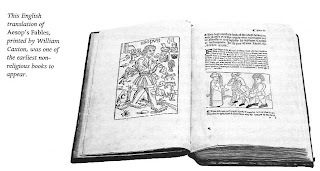 It was one of the first secular books printed in England. It is not a round anniversary but, somehow, it seems appropriate to recall the early stages of publishing. Should one note that England was ruled by Richard III at that time? All of these are by good friends of mine so an interest is hereby declared. First off is a book that should appeal to all students of the Conservative Party and its members, which its author, Nigel Meek, describes as a geek's delight. It is called Conservative Party Politicians at the Turn of the 20th/21st Centuries and deals with their attitudes, behaviour and background. It is full of data, facts, figures and numbers crunched and uncrunched. Dr Meek has also pointed out that "serious quantitative researchers might also be interested in the original dataset’s dedicated page at the Centre for Comparative European Survey Data’s website as well as its listing on the Economic and Social Data Service’s website". Not my best friend could call me a serious quantitative researcher but I am sure there are some among the blog's readers. I do find the conclusions of some interest as they explain things that might otherwise seem peculiar to those of us who have been watching the shenanigans in that party. A less serious but equally informative book is by Cedric Pulford, a journalist of many years standing and very wide experience (wider than most hacks') whose views on the Leveson Report and subsequent legislation are not fit for this blog, as it tries to be family friendly. The book is the story of his life in journalism, entitled Journalism My Way and could not be a more entertaining read. I opened it at random to find a suitable quote and what do I see on page 170? "The partition of Cyprus could not have been more bad-tempered." Ha! We ain't seen nothing yet. Finally, very unusually for me, a novel: L: a novel history by Jillian Becker who has had an extraordinary career as a writer and a fighter against terrorism before that became fashionable. I still cannot think of a better book on the Baader-Meinhof gang than her Hitler's Children. This is a novel that shows an alternative history of Britain, one in which Thatcher lost and the Labour radicals won. (Fantasy, I know, but the ideas are of interest.) Jillian has been kind enough to say that our many discussions, often well into the night, in true political fashion, about revolutions in Europe have helped to crystallize many of her thoughts. That is enough, surely for people to read this newly reprinted paperback. Whenever one reads hyperventilating attacks on present-day politicians and their lack of fiscal probity as compared to past ones, one can be certain they come from people who have no knowledge of history. Let us set aside the particularly notorious cases such as Charles James Fox or David Lloyd George. Let us look at a man who is known for being less than honest in politics but not particularly dishonest in financial matters: Winston S. Churchill. I have just finished reading Douglas Murray's excellent biography of Lord Alfred Douglas, Bosie (here is an excellent review of it by Miranda Seymour) and Churchill makes several appearances in it. Oscar Wilde's Hyacinthus and "golden boy" outlived him by forty-five years and had a fascinating if chequered life, clouded by what seems to be hereditary mental problems and, of course, the famous case. Douglas Murray makes an excellent case for Bosie's poetical talent (I, for one, am going to find a collection and read it), for his initial loyalty to Wilde and for the unfairness of De Profundis, which has influenced so many writers in their analysis of the relationship. 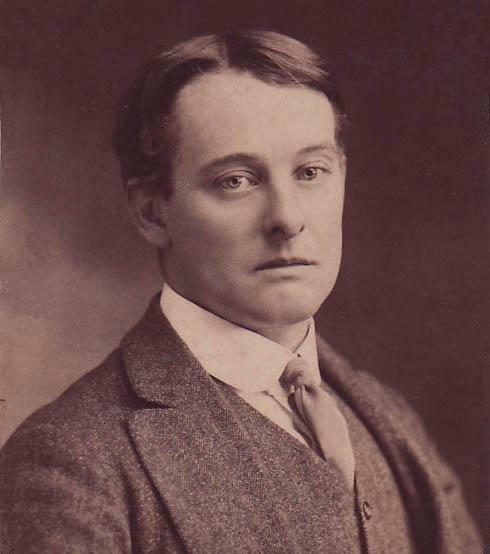 Wilde, himself, resumed his life with Bosie as soon as he came out of prison. Murray even manages to make sense of the complicated relationship between Bosie and Robbie Ross, usually the hero of the Wilde story (but then, he wrote much of it). The book details Lord Alfred's "litigious and libellous" career that lasted from 1909 to 1924, the last of these being the case brought against him by Winston Churchill. claimed that Winston Churchill was guilty of war profiteering and that while First Lord of the Admiralty he had, with the help of high profile Jews, conspired to murder Lord Kitchener. They had allegedly succeeded in 1916 when Kitchener was on board the Hampshire. The ship had been sailing for Russia where, according to Douglas, Kitchener would have replaced the 'Bolshevik Jews', who were then setting up the revolution that would come in the following y ear, with 'loyal men of British birth', thus 'nipping the Russian revolution in the bud'. Churchill at first ignored this farrago of nonsense, arguing, quite sensibly, that few people read it and by suing he would give unnecessary publicity to a little-known periodical. 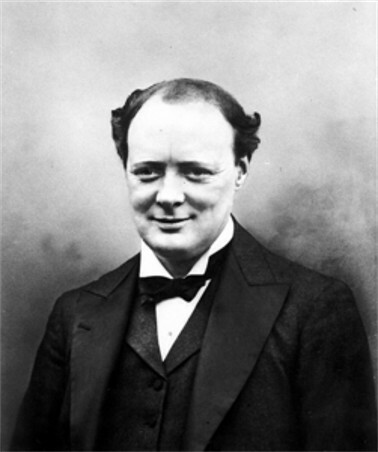 But in 1923 Douglas went further and publicly accused Churchill of war profiteering by publishing a false report of the Battle of Jutland in order to help some financiers (no doubt of Jewish origin, Bosie having become a virulent anti-Semite) to make money on the New York Stock Exchange and getting paid for this by Sir Ernest Cassel, a well known financier and philanthropist who had, as a matter of fact, converted to Catholicism just as Lord Alfred had done. Churchill's alleged reward was furniture that was worth £40,000. Furthermore, the accusation about Kitchener's murder was repeated with fanciful details of a time bomb on board of the Hampshire. This time Churchill had to sue. The case came to court in December 1923 and the first thing to be made clear was that by the time of the Battle of Jutland, Churchill had no connections with the Admiralty (this being post-Dardanelles) and could not have produced the false report. As the attorney-general stated in court, on Churchill's behalf, there was no plot, no phoney communiqué, no stock market raid and no present of fine furniture. When Churchill took the stand he volunteered much information about his private finances so that the defence could not make anything of them. He admitted that Cassel had given him £500 as a wedding present in 1908 and t hat, after the battle of Jutland, Cassel had furnished him with a library. None of this information had come out in the Morning Post case [when Douglas first aired his accusations and was found to have some justification for them] and many members of the public were unaware that such gifts were commonplace for politicians. The truth is that many members of the public and the media are still unaware that such gifts have always been commonplace for politicians. Lord Alfred Douglas was found guilty of criminal libel and went to prison for six months, another turning point in his life and literary career. While in Wormwood Scrubs he wrote, when his health allowed him, his last major sequence of sonnets, In Excelsis, a defiant response to De Profundis. His career in litigation and libel was over and he started reassessing, yet again, his relationship with Wilde and other people. In particular, he became more sympathetic to Churchill with whom he exchanged a few friendly notes later. The last of this was a letter in December 1944 from a very ill Bosie in which he pleaded with the Prime Minister not to betray the Poles. Churchill reassured him in his reply that he would not do so and added a hand-written note wishing a recovery. 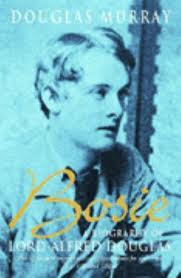 Alas, Bosie never really recovered and died in March 1945. Neither did Churchill stand up for the Poles. Given the terms on which those two parted, it is questionable whether either would find any joy in the idea of a reunification, though Catherine would, undoubtedly, have seen it as her duty to strive towards it. 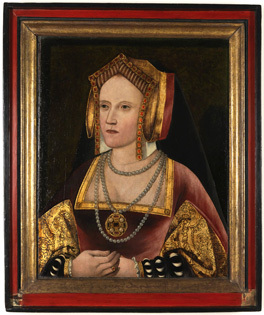 So, perhaps, she would be happy or, at least, content at being part of the second most popular exhibit in Gallery 1 of the National Portrait Gallery, the first being Richard III, the Tudors' bogeyman. 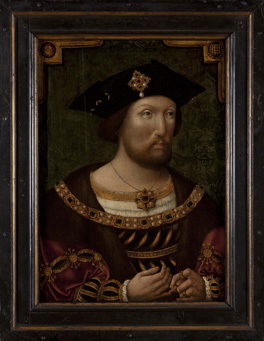 The story (and here) of the portrait being re-identified (though why it was mis-identified in the first place is a mystery, considering other available portraits) is fascinating but even more interesting is the fact that the portrait, most unusually, is in its original frame, carefully restored, and clearly meant to echo the colours of the painting. 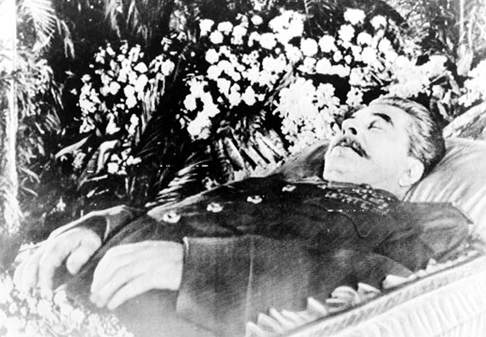 Ten years ago I wrote an article in the Salisbury Review about the fiftieth anniversary of Stalin's death or, at least, the fiftieth anniversary since it was announced. It is not on line so I found it in hard copy and decided to post it with some corrections - after all, some things have changed and, in any case, sixtieth has to be substituted for fiftieth. Fear is the overwhelming theme of Russian history. People fear the rulers and the rulers constantly fear the people; members of the ruling caste fear both those above and those below; the intelligentsia fears the masses and the bosses. Sixty years ago these strands coalesced. On March 5, 1953 died Joseph Vissarionovich Stalin, the dreaded master of Russia and other republics. A man so feared and so adored that his name was pronounced with awe or, else, people whispered nicknames and avoided naming altogether. A man whose closest colleagues sweated (and worse) with fear every time he summoned them. A man, who was so afraid of the people that he rejected the very idea of a home guard in Moscow as the German army rolled forward in 1941, certain that the guns will be turned on him and his immediate entourage. His death provoked relief but also fear. The authorities were so afraid that on the day of the funeral side streets were blocked off with armoured cars. A sudden wave of panic drove many of the huge crowd to the barriers and hundreds, maybe thousands, were crushed to death. As he ruled, so he died: surrounded by a sea of blood. In the Soviet Union and Eastern Europe there were changes, immediate but slow. People were released from prisons and labour camps and mutterings of truth began, if only quietly. Hard-line politicians were superseded by others (in the case of the little Stalin of Czechoslovakia, Klement Gottwald, it was death that claimed him almost immediately). There were also uprisings in the labour camps that were put down with great ferocity, as was the first major East European revolt, the Berlin uprising of June 1953. In the free and wealthy West his death was mourned far more. Liberals and left-wing politicians, writers, journalists, academics, entertainers, even the occasional trade union activist saw Stalin's Soviet Union as the shining beacon, the great hope of mankind. To do this, they resorted to greater and more extensive lying than any supporter of the Nazi regime had done. For decades the existence of labour camps and torture chambers, the death of millions of people and destruction of whole sections of the population was all denied. Each small and carefully controlled revelation from the Soviet Union was greeted with shock and surprise. Those who wrote openly about the Soviet reality were vilified as cold war warriors, reactionaries, fascists. Only slowly has the truth about Communism been accepted. And really, has it? People know it was a nasty regime but there are relatively few discussions even if the South Bank has had to accept rather reluctantly that there was some fear in the Soviet Union as well. Any mention of Communist oppression tends to be dismissed as tiresome and unimportant. It is all finished. Let us not talk about it. How dare you mention it in the same breath as Nazi oppression? After all, the Communists meant well even if it always went wrong. But we do need to talk about it. The man who died sixty years ago and his influence has distorted European and world politics much more than his equally vicious colleague and enemy Hitler. Yet Hitler's misdeeds are analyzed repeatedly and, more importantly, castigated. Any apologist for Nazism is denounced immediately and rightly. Apologists for Stalin, deniers of the Communist mass murder are still highly regarded or treated with sympathy and understanding. It is their opponents who are vilified. As we know even discussing the socialist roots of Nazism is considered to be beyond the pale, a tribute to the propaganda spread across the world under Stalin's auspices. They may be divided in Georgia about Stalin (and that has much to do with the political situation there), President Putin may announce that the collapse of the Soviet Union was a geopolitical catastrophe but there is no excuse for Western amnesia. We must think very seriously about his deeds and their consequences. After all, we are still living with them. These are the books I am reading or intending to read in the near future (not counting detective stories). Might be of interest. In no particular order: Jonathan Foreman's Aiding and Abetting, published by Civitas, deals with the many problems associated with the aid industry. Also how to solve them. I would start by abolishing development aid immediately and limit humanitarian aid. A People Passing Rude, edited by Anthony Cross, possibly the greatest living expert on early Anglo Russian relations: a collection of essays about British reactions to different aspects of Russian culture from the sixteenth century to the twentieth. Robert Oulds's Montgomery and the First War on Terror, which deals with Monty's early career as counter-terrorist commander in Ireland and the Middle East. I have to admit to not starting on it yet. But I am looking forward to finding out how largely military missions can influence our own counter-terrorist activity. Or so I was told by the author. Peter King's Reaction, which might tell me what it is conservatives should conserve when all existing institutions are contrary to their ideas and cherished beliefs. Now this I am really looking forward to reading, having published several of the author's articles: Harshan Kumarasingham's A Political Legacy of the British Empire, which is a study of Power and the Parliamentary System in Post-Colonial India and Sri Lanka. Dennis O'Keeffe's Edmund Burke, an excellent introduction to the man and his ideas, so influential in the conservative movement. Finally, the deeply depressing Former People by Douglas Smith, which I shall be reviewing for the Salisbury Review but also blogging here. Come to think of it, I shall be blogging all of them.